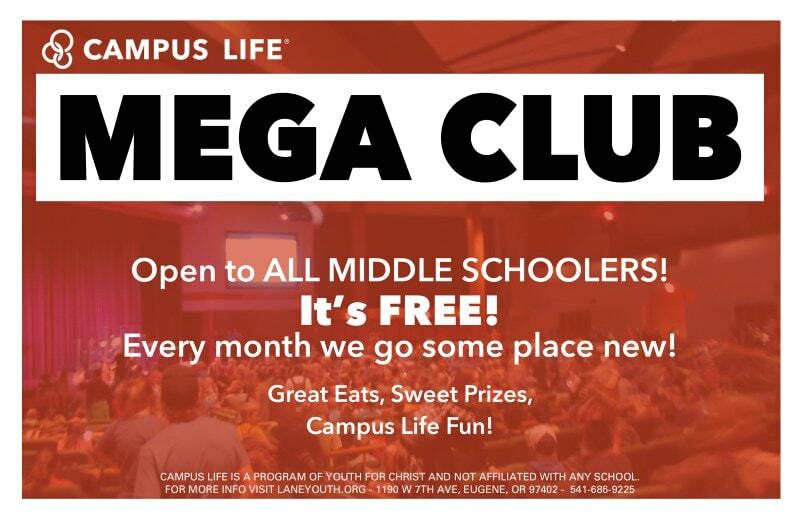 Open to ALL MIDDLE SCHOOLERS! Every month we go some place new! Great Eats, Sweet Prizes, Campus Life Fun! CAMPUS LIFE IS A PROGRAM OF YOUTH FOR CHRIST AND NOT AFFILIATED WITH ANY SCHOOL.